Blu-Ray player. Sony introduces another all-round notebook from the EH series with the Vaio EH1Z1E/B. The highlight is the Blu-Ray player, but the 6 GB of RAM and the 640 GB hard disk are also impressive. Can the notebook convince with only that? Sony presents another notebook of its Vaio EH series with the Vaio EH1Z1E/B. This series represents a range of versatile laptops that are to cover a wide spectrum of everyday tasks. Additionally, the notebooks are to convince with an appealing design and good workmanship. Our test sample is equipped with a midrange processor from Intel's current Sandy Bridge family and an entry-level graphics card from Nvidia. A generous 6 GB of RAM and a big 640 GB hard disk complete the good hardware configuration. Another feature of this notebook is the built-in Blu-Ray drive. The Sony Vaio EH1Z1E/B uses the same case as the Sony EH1M1E/W (but in white). 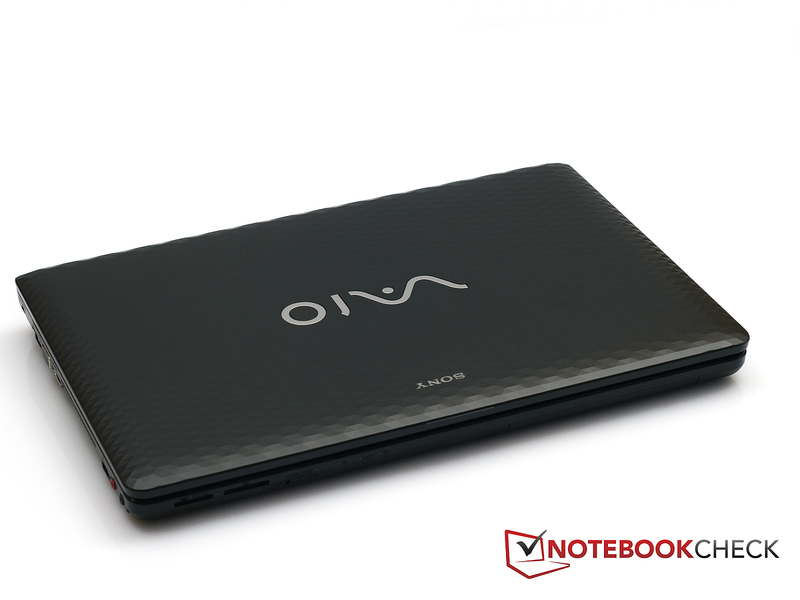 The Vaio EH1Z1E/B is only offered in a black and blue version. A white model, like the EH1M1E/W, is no longer available. As previously the EH1M1E/W, the special surface again looks good in the black model. The reflections on the surface change depending on the viewing angle. However, the surface not only looks interesting, it also has a pleasant feel and prevents fingerprints. The EH1Z1E/B even fares well in our pressure tests. The wrist rest could hardly be more rigid. It doesn't even yield under high selective pressure. The keyboard is also stable, even if not quite as stable as the wrist rest. The keyboard yields marginally under high pressure, but then only above the optical drive. Unfortunately, the display isn't quite as rigid as we'd have liked it. Only little pressure on both corners is enough to warp it. In return, it is quite insensitive to pressure applied from the back. The notebook's manufacturing quality is basically impressive. Sony has economized a bit in terms of connectivity. Although there are four USB ports installed, they only comply with the USB 2.0 standard. USB 3.0 hasn't been used. This makes the lack of an eSATA interface even more painful. The user doesn't have a possibility to connect a hard disk via a fast interface to the notebook. The two slots for the card reader are a bit unusual because most other manufacturers only build in one slot for a 3in1 card reader. But that at least allows the use of two cards at the same time. The interface positioning is by and large acceptable. At least Sony has taken care to position the ports needed for stationary use (VGA/HDMI, power, LAN) in the notebook's rear area. The more frequently used USB ports have been moved to the sides' front area. 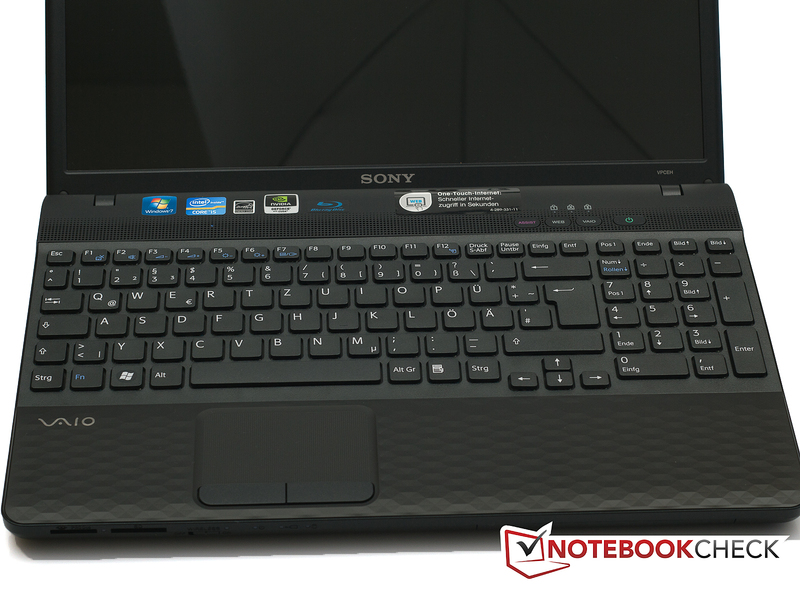 The Sony Vaio EH1Z1E/B doesn't have a lack of communication options. A Gigabit Ethernet adapter from Realtek takes care of wired connections. Users who prefer going on the Internet wirelessly can do this with the WLAN adapter form Atheros. It supports the standards IEEE 802.11 b/g/n. Bluetooth is also available and is delivered in version 3.0 +HS. There's not much to say here about the Sony EH1Z1E/B. Except for the usual printed documentation and the warranty certificate, there is nothing in the box. Sony equips the laptop with a basic warranty of 1 year. If the newly acquired laptop is registered at Sony, an additional year is granted. Moreover, there are further warranty extensions in Sony's online shop, which extend the warranty to 3 or 4 years. The Sony laptop comes with an extensive software bundle. About 75 programs are already pre-installed on the Sony notebook and the task manager indicates about 90 running processes. Many of the included programs will hardly ever be used, but there are also a few feasible programs. Thus, Microsoft Office Starter 2011 and Skype belong to the more reasonable software. Furthermore, Sony gives the option of starting a mini operating system via the Quickweb button. Booting the laptop is faster, but the functionality is limited to Internet surfing or writing emails. Accessing the hard disk isn't possible. 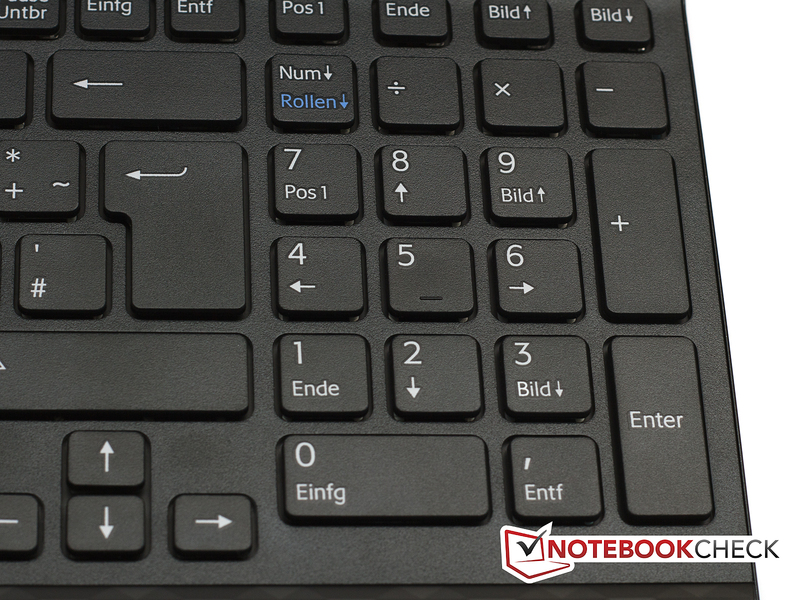 Nothing of the yielding keyboard (see design) is noticed during normal typing. Typing on the keyboard also proves to be overall very pleasant. The key drop and pressure point have been selected well and allow fast working. Even the typing noise is acceptable and not particularly loud. However, they sound a bit clattery in some areas but that doesn't affect their function in any way. 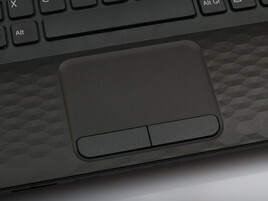 The touchpad has a diagonal of 85 millimeters (76x47 millimeters) and is inserted into the wrist rest. This clearly separates the touchpad from the wrist rest, but recognizing the touchpad shouldn't be a problem due to its nubby surface anyway. The touchpad has two unmarked scroll bars, in addition to multi-touch. The touchpad proved to be precise and accurate during the test and actually didn't anything to be desired. 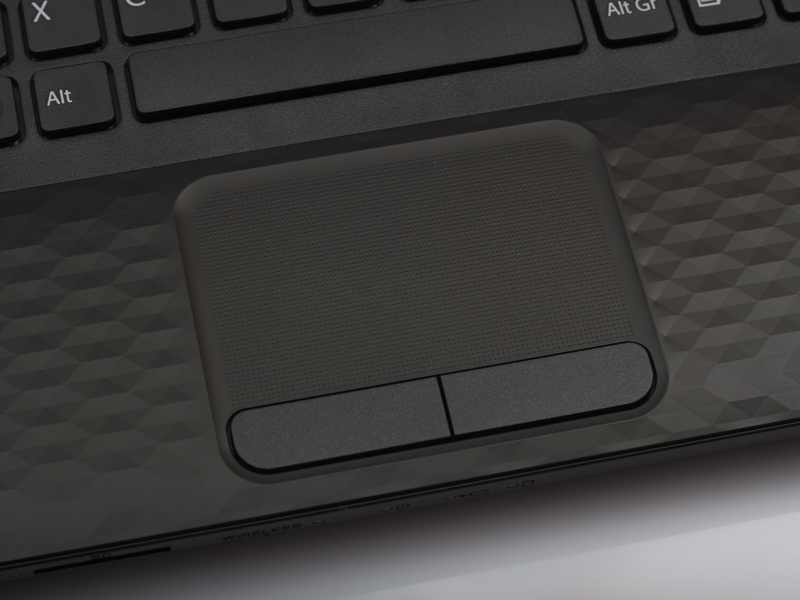 Both mouse keys are located directly beneath the touchpad. They stand out with a very short and hard key drop. A quiet click confirms whether or not the key has been triggered. There is no reason for complaint here, either. A display from LG Philips is used in the Sony Vaio notebook. The screen is a model with a glare surface and a resolution of 1366x768 pixels. That is too bad, considering that the laptop has been equipped with a Blu-Ray drive and that the screen can't render the full resolution of Blu-Ray movies. Thus, the user doesn't have much choice and has to use a HDMI cable to connect the laptop with a corresponding playback device. Then, movies can also be enjoyed in their highest Full HD quality. When taking a closer look at our measuring results, it quickly becomes clear that Sony has sooner built a run of the mill screen into the Vaio EH1Z1E/B. The average brightness of 194.9 cd/m2 is also sooner lower midfield. Even the brightness distribution of 85 percent isn't convincing. Although the brightness difference can't be seen with the naked eye, some competitors do a better job here. At least Sony doesn't automatically reduce the brightness in battery mode. The screen shows more shortcomings with the black value. The black value of 1.31 cd/m2 is quite high. A rate below 1.0 would have been desirable. That also has an adverse affect on the contrast which isn't very high with 159:1. 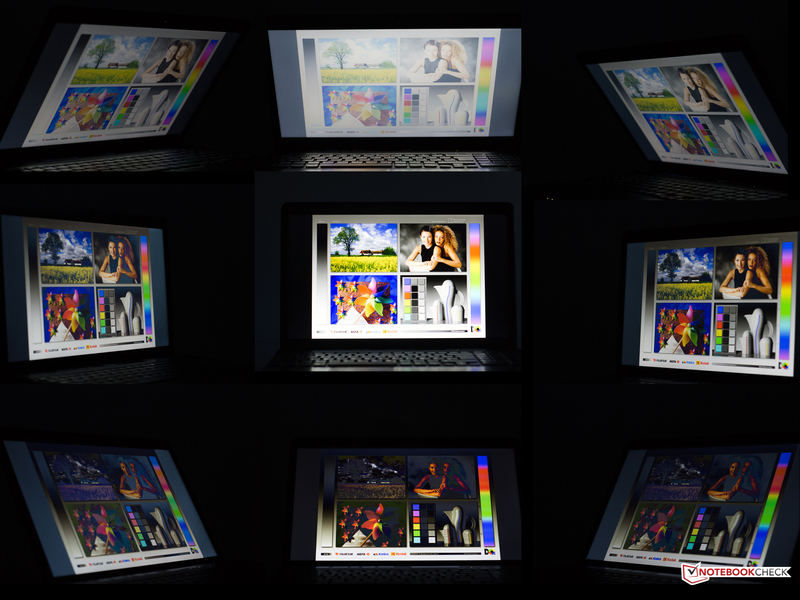 In terms of color reproduction, the screen won't convince professional users, either. The screen can't completely render the sRGB color spectrum and doesn't even come close to the AdobeRGB color gamut. But, normal users can confidently ignore this. The screen's specs already show that the Sony Vaio EH1Z1E/B is only suitable for outdoor use to an extent. Ideally, users should look for a shady place with the laptop in order to still recognize something properly on the screen. In addition to the moderate brightness and the poor contrast, the reflective screen makes the reproduction even more difficult. When the display isn't tilted, the screen remains stable even in wider viewing angles. Thus, it's absolutely possible to sit in front of the notebook with several people without the content being distorted. The image only deteriorates quickly when the screen is tilted. 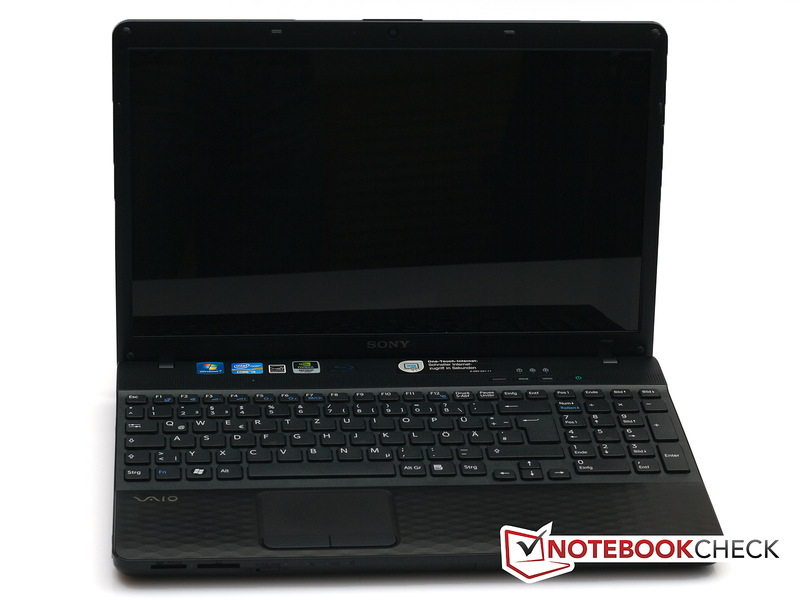 The Vaio EH1Z1E/B relies on the Intel Core i5-2410M processor. This midrange dual core processor is currently very popular among notebook manufacturers and is frequently built into notebooks. The processor has a default clock of 2.3 GHz. Thanks to Turbo Boost, the clock can be increased to 2.6 GHz (both cores loaded) or 2.9 GHz (one core loaded). Thus, the processor is not only suitable for basic tasks like Internet surfing, but can also be loaded with demanding tasks. Image processing or games are also well possible with the processor. With a TDP of 35 watts, it corresponds with the majority of current Intel Sandy Bridge midrange processors and is suitable for laptops with a size of 14 inches or more. The Intel HD Graphics 3000 has been embedded directly into the processor and is more than suitable for basic graphic tasks. The Sony Vaio notebook doesn't use the Intel HD Graphics 3000, though. Instead, it relies on the Nvidia GeForce 410M. 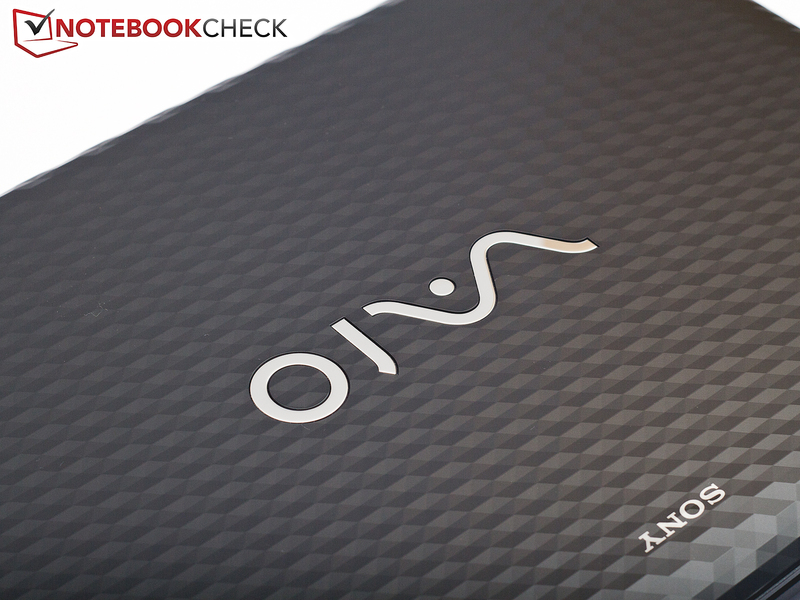 With the 410M, an entry-level graphics has found its way into the Vaio notebook. It is only slightly faster than the Intel HD Graphics 3000. The Nvidia card has advantages over the embedded Intel solution, especially in gaming. The 410M benefits from its dedicated memory and the superior drivers. Moreover, the 410M supports the bitstream transmission of HD audio (Blu-Ray) via HDMI port. As a result, it's possible to transmit Dolby True HD and DTS-HD via bitstream without loss of quality to a suitable receiver. This is an important feature particularly in connection with the Blu-Ray drive. However, the 410M doesn't support 3D Vision. It's simply not strong enough for that. Basically, it would also be possible to use the Optimus Technology with the 410M, but Sony hasn't used this option and thus it's not implemented. Consequently, the automatic switching between the Intel HD Graphics 3000 and Nvidia GeForce 410M isn't possible. We use the program, CineBench, to assess the processor's performance. The processor's cores are loaded both singly and collectively in this benchmark. Thus, it's possible to check if Turbo Boost is working properly besides checking the processor's performance. The built-in i5-2410M processor achieved a score of 4486.0 points in the Cinebench R10 Single Rendering (64 bit), and is thus in the good midfield of 2410M processors. A comparable score was achieved by, for example, the Medion Akoya P6631 (2410M, GT540M) with 4494.0 points. The Sony laptop lags far behind the rest of the field in the Cinebench R10 Multi Rendering (64 bit) benchmark and manages 7593.0 points. 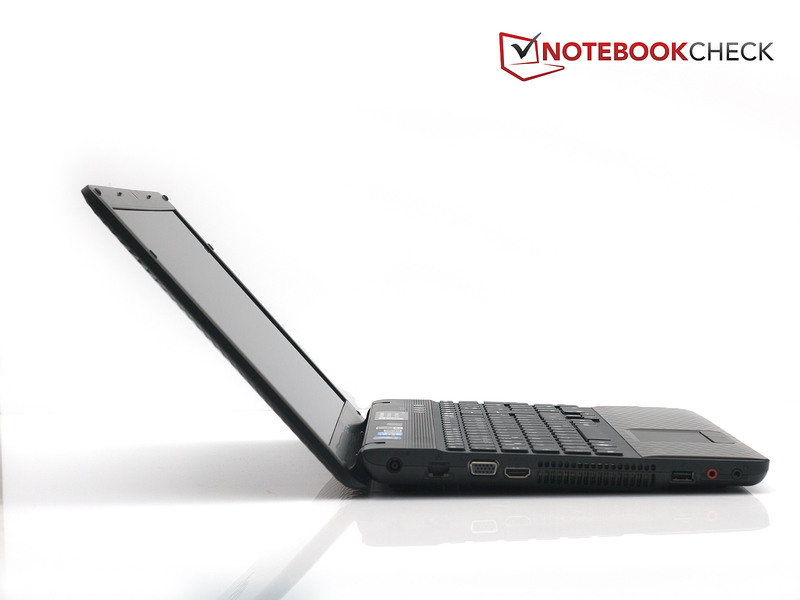 Consequently, it is one of the lowest placed notebooks with a 2410M processor. In comparison: An average score for the 2410M processor would be about 9600 points in this benchmark. The Asus X53E-SX082V (2410M, HD Graphics 3000) from the Intel TestIT!2011 campaign sets a good example with 9631.0 points. 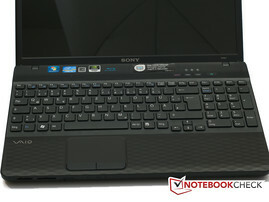 The Sony notebook is sooner in the field of the i5-430M processor from the prior processor generation with this score. For example, the Sony EH1Z1E/B is on a par with the Dell Inspiron 17R (430M, HD 5470) with 7554.0 points. There is certainly still need for improvement here. However, the Turbo Boost feature works without problems according to the tools we used (HWInfo 64). In our test, the processor could deliver the 2.90 GHz without further ado where necessary. 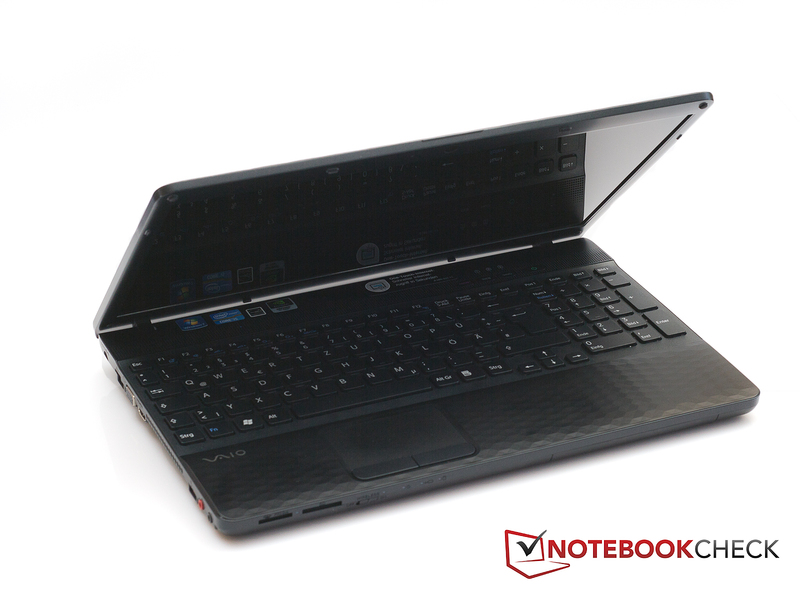 We determine the Sony laptop's system performance with the programs PCMark Vantage and PCMark 7. 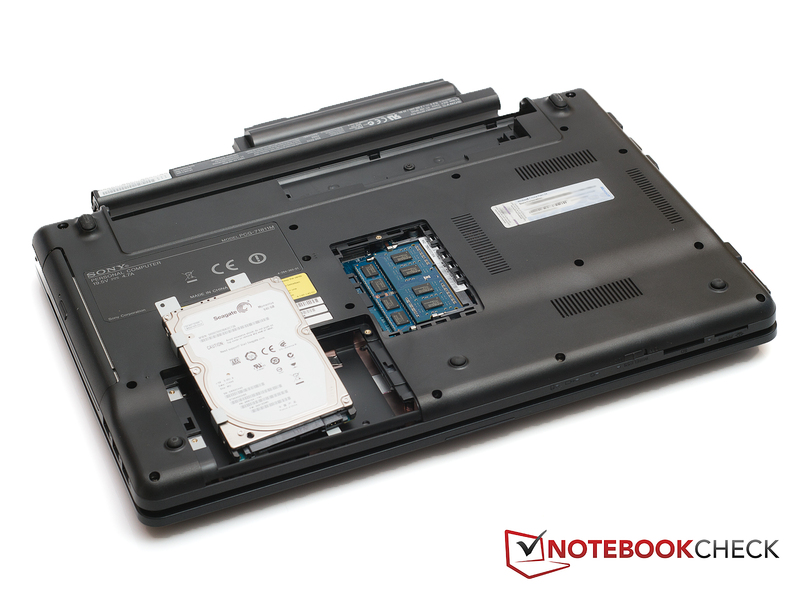 The Sony notebook achieved a total score of 5818.0 points in PCMark Vantage and is still in the upper half of our benchmark chart. The Fujitsu Lifebook LH531 (2410M, HD Graphics 3000) supplies a similar score here with 5902.0 points. The PCMark 07 benchmark shows a somewhat different result. However, the PCMark 07 benchmark chart isn't as well-filled as the PCMark Vantage chart and only newer notebooks are listed. 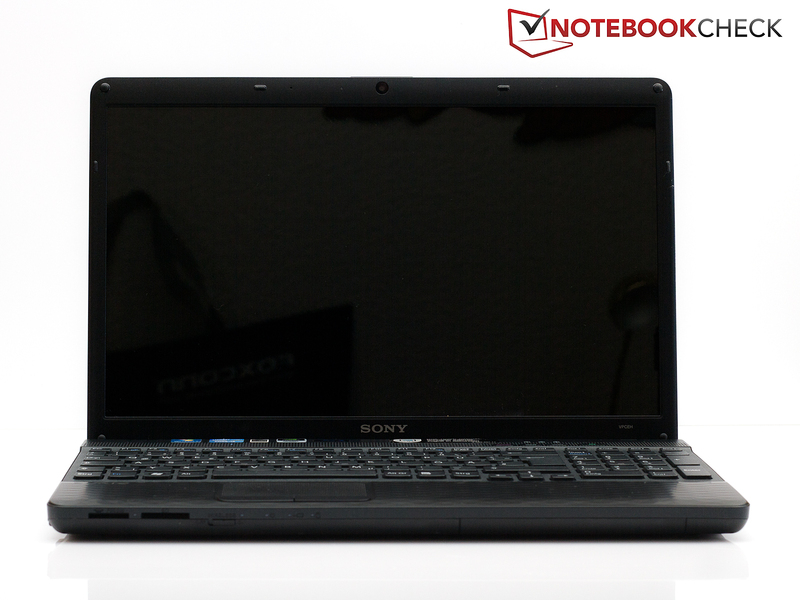 Here, the Sony notebook sooner belongs to the bottom of the league of comparably equipped laptops with 1744.0 points. The program 3DMark 06 is used to assess the graphics card. 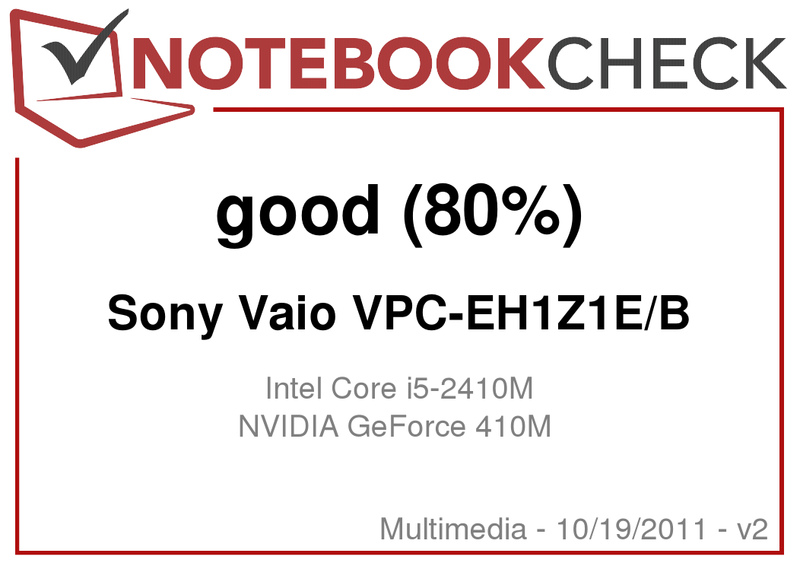 The Sony Vaio EH1Z1E/B, with an Nvidia GeForce 410M, reaches a score of 4615.0 points. Thus, the notebook places itself in the lower third of our benchmark chart. The 410M is currently still a stranger in our list. Thus, we'd rather not comment on how the installed 410M graphics card fares in comparison to other 410M cards. The Sony is positioned between the Samsung QX412-S01DE (2520M, GT 520M) with 4736.0 points and the Lenovo IdeaPad Z370-M5657GE (2410M, HD graphics 3000) with 4589.0 points. The installed Seagate ST9640320AS hard disk is a 2.5 inch model with a (gross) capacity of 640 GB. The magnetic disks rotate with 5400 rpm, which is standard for laptops. However, the hard disk can't stand out from its rivals in terms of rates. It is sooner lost in the masses. With an average transfer rate of 72.8 MB/s, the hard disk doesn't break any records and the access rate of 17.7 milliseconds isn't anything special, either. Nevertheless, we have to positively mention that many comparable notebook hard disks often supply a rate of 19 - 20 milliseconds. The installed Nvidia GeForce 410M is only suitable to an extent for gaming. The user has to make compromises in terms of quality and resolutions here. The games, StarCraft 2: Wings of Liberty and Deus Ex: Human Revolution, are used for the Sony Vaio EH1Z1E/B's gaming test this time. While StarCraft 2 is a real time strategy game, Deus Ex is an action role game. The GeForce 410M copes perfectly with StarCraft 2 in the lowest settings and lowest resolution. The game runs smoothly with 101 frames per second. However, the game starts to stutter in the next quality level and resolution. It's still possible to play with 19 frames per second, but it's not really fun. The same is shown in high settings, as expected. The game is definitely no longer playable with 16 frames per second. The same is seen in Deus Ex. The game runs smoothly with 43 frames per second in the lowest setting and resolutions. However, the whole screen's width isn't used and the game no longer looks attractive. As soon as the settings are increased, the game starts to stutter so intensely that it is downright unplayable. The Sony Vaio is usually quiet when idling. Nevertheless, the notebook attracts attention because it always emits a quiet noise. The noise level is 31.1 dB (A) - 33.1 dB (A). The hard disk's noise is usually drowned out with 31.0 dB (A). The hard disk occasionally makes itself noticed with a quiet clacking. It is a bit more obtrusive with 31.7 dB (A) then. The optical drive isn't as inconspicuous. The drive generates a noise of 35.9 dB (A) when watching a DVD or Blu-Ray. Thus, the drive isn't exactly quiet and not only gets disturbing in quieter scenes. But it shouldn't be a problem when the notebook is connected to the TV and the viewers aren't sitting quite as close to it. However, the noises could get annoying when watching a movie on the go and sitting directly in front of the notebook. The cooling system in the Sony Vaio EH1Z1E/B is very audible during load. The noise level is between 37.8 dB (A) and 40.6 dB (A) here. The Intel Core i5-2410M and the GeForce 410M shouldn't be a problem for the cooling system. Both aren't exactly infamous for their high waste air, and ultimately this is just exactly the way it is. The maximum temperature on the base unit's top is just 31.7 degrees Celsius in idle mode and thus absolutely harmless. Even the wrist rest and touchpad aren't particularly warm with 26.8/27 degrees Celsius, respectively 29.7 degrees Celsius. It doesn't look much different on the bottom, either. The maximum temperature here is 38.1 degrees Celsius. Logically, the temperatures increase during load. The maximum temperature on the top is now 35.8 degrees Celsius, which is still a very good rate. Both sides of the wrist rest heat up to 28.6 degrees Celsius (left) and 29.0 degrees Celsius (right), while the touchpad reaches 32.7 degrees Celsius. The bottom's maximum temperature is now 42.9 degrees Celsius and reaches a temperature that can get unpleasant when using the notebook on the lap. 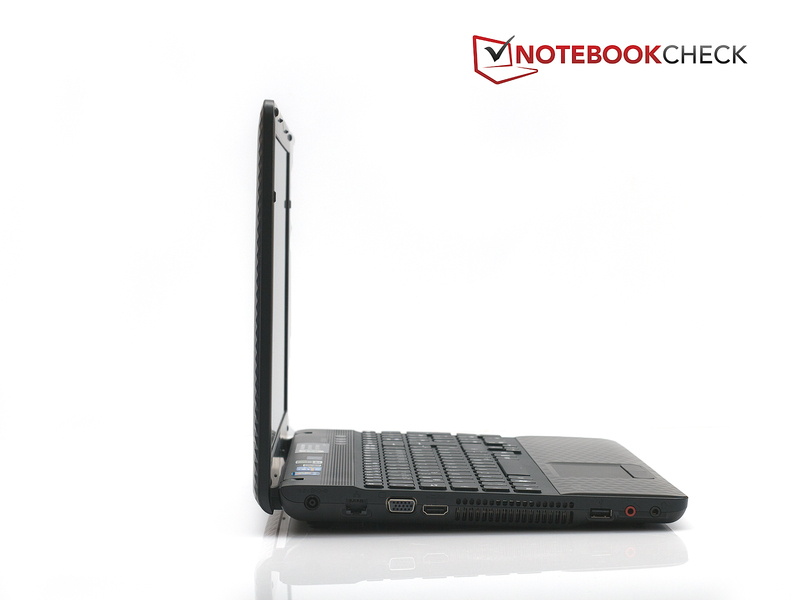 Although most users won't use their notebook on the lap during full load, it should be briefly mentioned. The Sony Vaio EH1Z1E/B doesn't have any problems with full load. The programs FurMark and Prime95 are used to load the notebook. The temperatures are recorded with the program Hardware Monitor. The processor's maximum temperature was 93 degrees Celsius in the test. Thus, the temperature is still within a safe range and there is still some elbow room. We didn't notice any signs for throttling during the tests and the subsequent benchmark test with 3DMark 06 didn't show any indications for throttling. (+) The average temperature for the upper side under maximal load is 31.7 °C / 89 F, compared to the average of 30.9 °C / 88 F for the devices in the class Multimedia. (+) In idle usage, the average temperature for the upper side is 29 °C / 84 F, compared to the device average of 30.9 °C / 88 F.
Two little speakers are located on the left and right above the keyboard, which are to take care of the sound. Although they are still sufficient for music or movie playback on the go, they naturally aren't an alternative for users with higher expectations - compared to an external sound system. The speakers start to distort the sound when the volume is turned up to full. The Sony Vaio laptop doesn't prove to be a big energy saver in terms of power consumption. 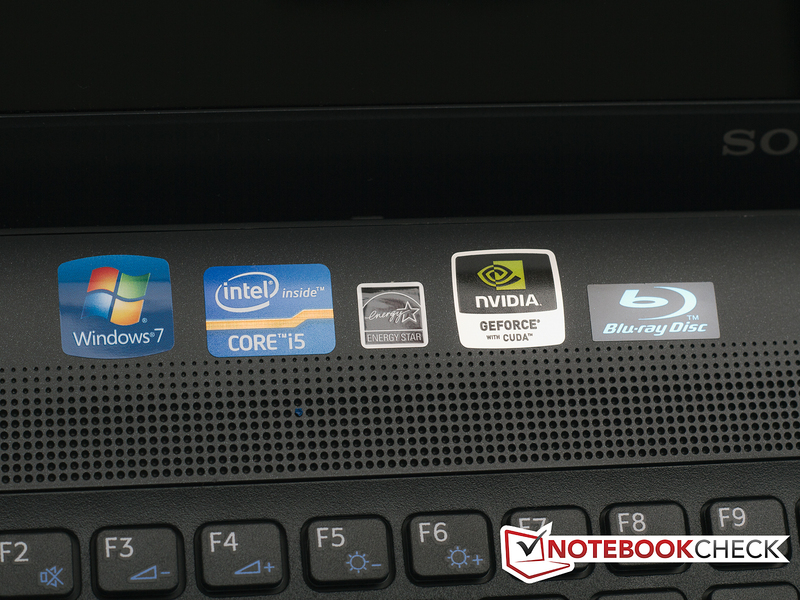 However, this isn't surprising because the notebook has a good midrange processor and dedicated graphics card. Therefore, the idle consumption of 10.9 up to 17.2 watts isn't a surprise. This is also reflected in the rates of 53.4 - 85.4 watts measured in load. 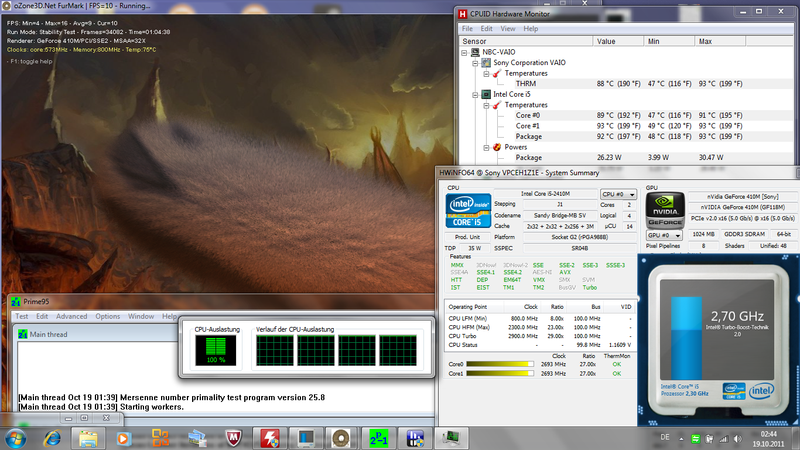 When the laptop is loaded with Prime95 (which primarily loads the processor to capacity), the consumption is 71 watts. The consumption is 56 watts when the notebook is loaded with Furmark (which primarily loads the graphics card). The 90 watt adapter shouldn't have any problems with the maximum 85.4 watts that we measured. The Sony laptop isn't exactly an endurance machine according to our runtime test with the program, BatterEater. It achieves a battery life of 4 hours and 45 minutes in the Reader's Test. This rate will hardly ever be reached in practical use, though. 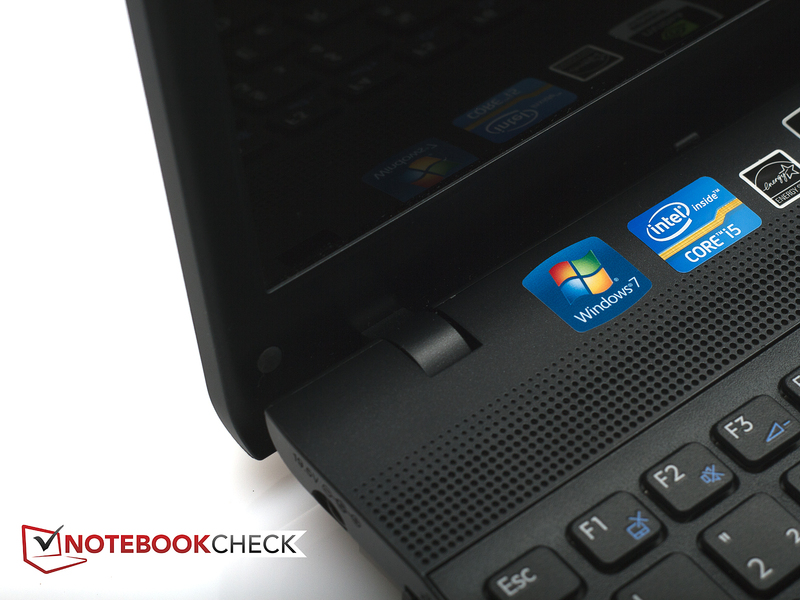 Most users will hardly operate the notebook in the lowest brightness in idle mode. The rate determined by WLAN surfing is more realistic. The notebook achieves a runtime of 2 hours and 25 minutes here. The notebook lasts for 2 hours and 9 minutes before it shuts down when watching a DVD on the go. When the laptop is used to full capacity on the go, the battery only lasts for 1 hour and 14 minutes. 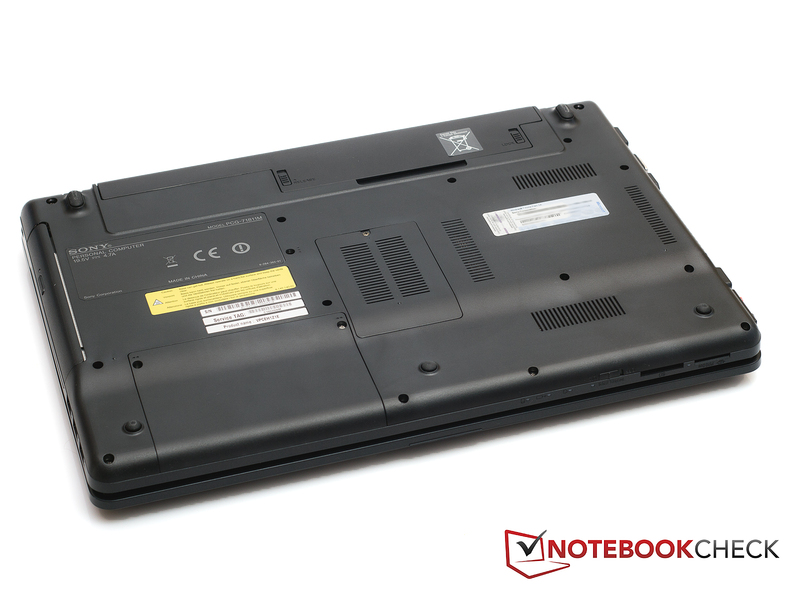 Sony supplies a very capable all-round notebook with its EH1Z1E/B. The Blu-Ray drive will strike the potential buyer right away, as it is one of the notebook's highlights. An elegant design and quite feasible input devices are also included. But, many potential buyers will likely get weak especially in view of the current price of 685.00€ (status: 10/19/2011). Overall, it can be said that Sony hasn't made any serious mistakes in the Vaio EH1Z1E/B, but it hasn't excelled itself either. The contrast poor screen with basic HD resolution (720p) and the scanty connectivity are too incommoding for that. The omission of Nvidia's Optimus isn't a big issue either, but it certainly wouldn't have hurt the battery life. All in all, the Sony notebook is a usable all-round laptop with a few drawbacks, but a good price. Many stickers "adorn" the notebook. The hinges don't keep the display absolutely stable. and there is even a numpad. and the maximum opening angle. An unusual surface provides diversity. 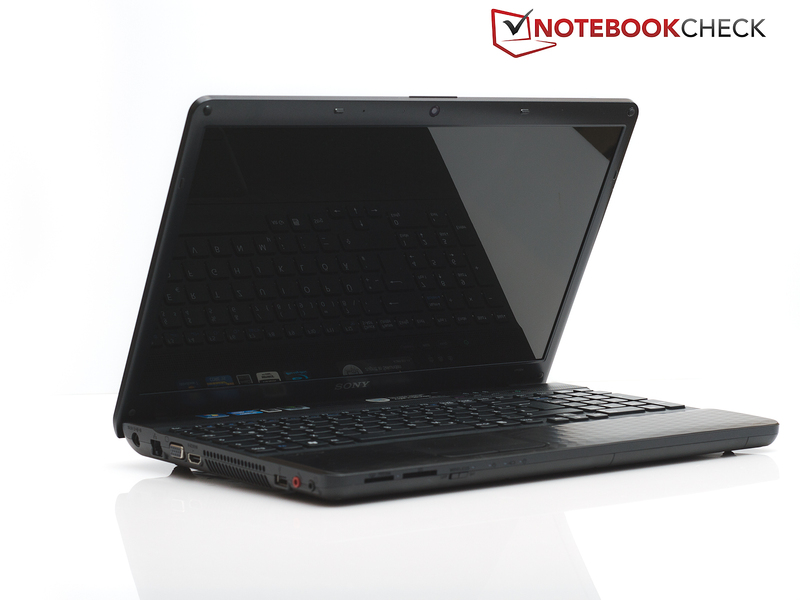 All-round notebook with Blu-ray player. 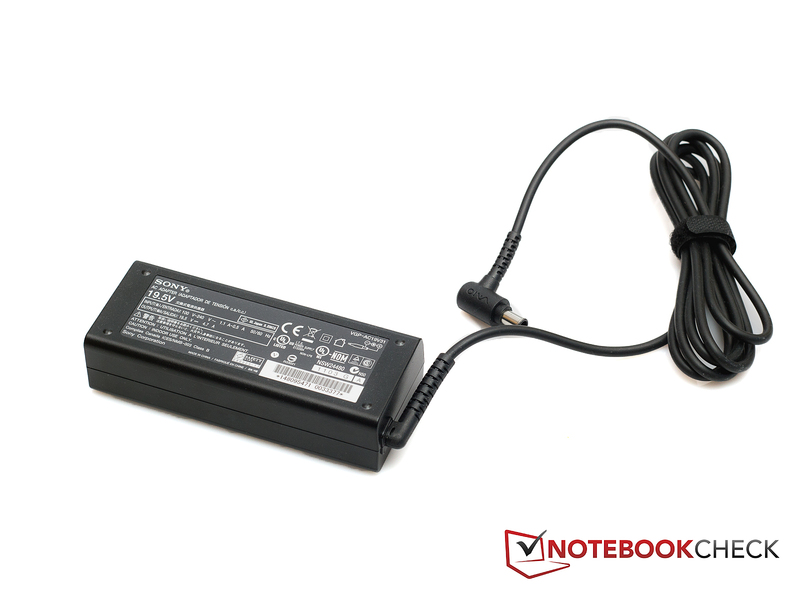 The Sony notebook's power adapter. We liked the built-in Blu-Ray drive. It makes it possible to connect the laptop to a HD TV and a Blu-Ray player isn't needed. USB 3.0 or another possibility to connect hard disks to the notebook over a fast interface. That Sony doesn't make use of Nvidia's Optimus surprises us and we find it a bit too bad. It would have at least increased the notebook's battery life a bit. The competition is in-house and is called Vaio VPC-EH1M1E/W. The same graphics card and a somewhat weaker processor still bid enough power for multimedia. However, it doesn't have a Blu-Ray drive. On the other hand, it's a lot cheaper. The Sony Vaio VPC-F22S1E/B (FHD) notebook is available for a bit more money. Finally, there is a Full HD display with a Blu-Ray drive beside stronger hardware.